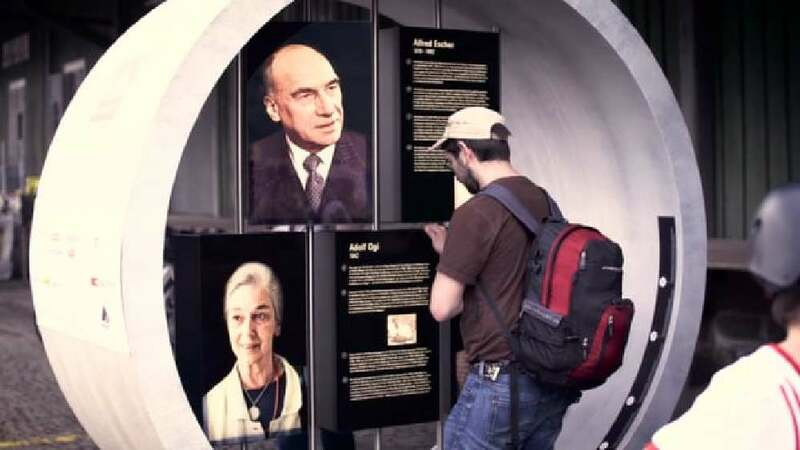 In order to draw attention in advance of the grand opening of the Gotthard Base Tunnel in 2016, this mobile exhibition was created and sent on tour with ten stops throughout Switzerland. The objective was to convey the history and significance of the tunnel by providing a vivid experience of the technology as well as the topic of mobility in the future, based on facts and figures. Therefore, the exhibition featured a cross section from the actual 9.5-metre-high tunnel as a true eye-catcher. As an attractive photo spot, the cross section invited viewers to actively use and personally interact with this element.